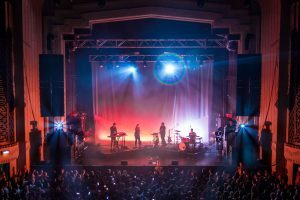 Adlib’s installation team has delivered another excellent touring spec system – including L-Acoustics and DiGiCo products – to one of the UK’s busiest and most successful live touring venues – Academy Music Group’s 2,550 capacity O2 Academy Glasgow in Scotland. 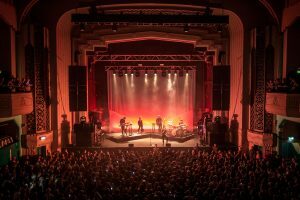 It follows similar recent Adlib installations at AMG’s O2 Forum Kentish Town in London, and O2 Academy venues in Bristol and Newcastle in the last 18 months, all of which also feature L-Acoustics and DiGiCo combinations. Led by John Hughes and Roger Kirby, Adlib collaborated closely with Jeff Woodford, applications engineer (installations) and Sergey Becker applications engineer (touring) from L-Acoustics, as the perfect system proved to be a careful blend of the requirements from these two exacting disciplines. Together, they worked with Academy Music Group’s Divisional Manager (North), Steve Hoyland. 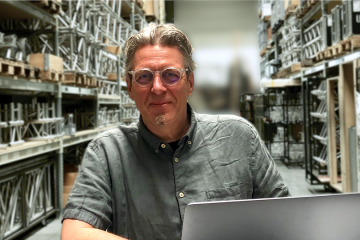 ays Roger, “The collective input from all these slightly different perspectives made the process more dynamic and very enjoyable.” The success of the other recent Academy Music Group L-Acoustics installations also played a part and made the L-Acoustics and DiGiCo combination a favourite choice. 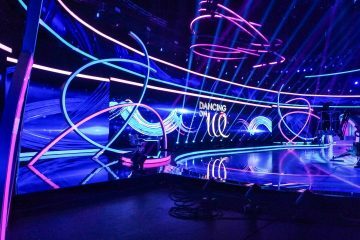 The room was initially modelled using Soundvision acoustic profiling software, which suggested that – particularly with its 270-degree seated wrap-around balcony and pros arch design – an L-Acoustics K2 system would produce the best results. The ultimate objective was to have a versatile system that “delivered superb coverage and would work well for live rock’n’roll shows, late-night club nights and spoken word and comedy events” explained Steve.Adlib’s Scottish operation had provided similar PAs for some one-off events over the last year, which were a big hit with everyone, so the team was confident that K2 was an appropriate and excellent all-round solution. For monitors, Adlib specified and supplied a sensible general-purpose system to service a wide array of artists, based around 10 of their famous MP4 wedges driven by Linear Research 44M20 amps – a combination that is tried-and-tested, very flexible, sounds brilliant and is constantly out working via Adlib’s busy hire division. A new line system is part of the install together with an input multicore and bespoke patch panels for each of the console breakouts. 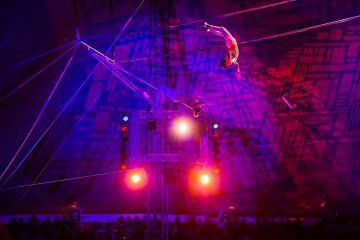 This new connectivity is part of ensuring that the system is as reliable and rock solid as possible with an amount of future-proofing. 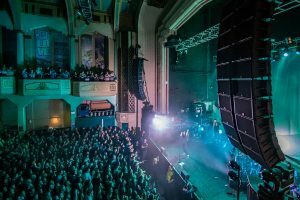 The first artists to have used and benefited from the new audio installation have included Jorja Smith, Richie Hawtin, Glenn Hughes, Daughtry and Rudimental and it’s been exceptionally well received by engineers.